With the Horizons Kindergarten Phonics & Reading Teacher’s Guide 4 from Alpha Omega Publications, you’ll find an easy-to-follow guide that clearly explains each step in detail. 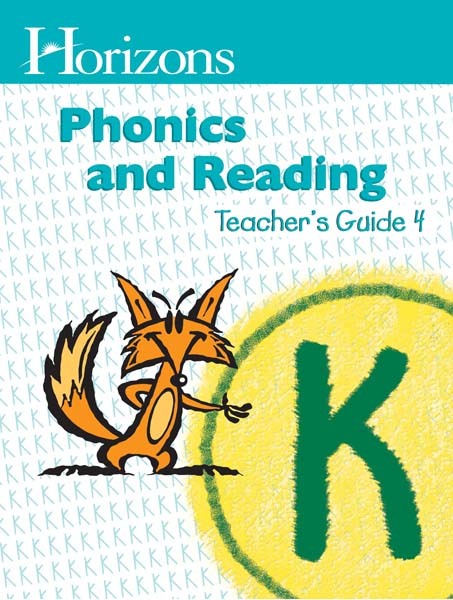 This last of four guides includes teaching tips, necessary materials, and answer keys for lessons 121-160 in Horizons Phonics & Reading Student Book 4. Get a helping hand as you lead your child on a life-long adventure that only reading can provide with Horizons Kindergarten Phonics & Reading Teacher’s Guide 4 from Alpha Omega Publications. Order today from Curriculum Express!